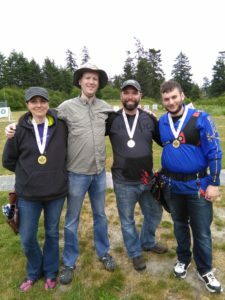 Along with Brad Barclay/Coordinator, here are just a few winners from the 2018 Indoor Mailmatch Tournament – Shawn Behan, Liana Tupper, and Solly Lazar. 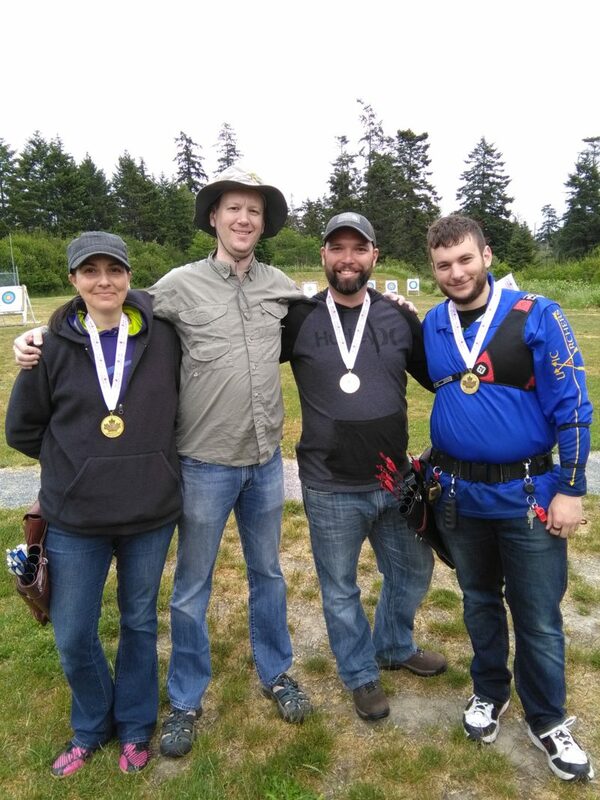 Not shown – and soon to get their medals – Su-Bin Ahn, Elizabeth Newman, Ross Todd, Ellen Vander Hoek, Billy Sanderson. Congratulations to all medalists and participants! Special thanks to Brad Barclay for coordinating the event. And now on to the 2018 Outdoor Mailmatch!